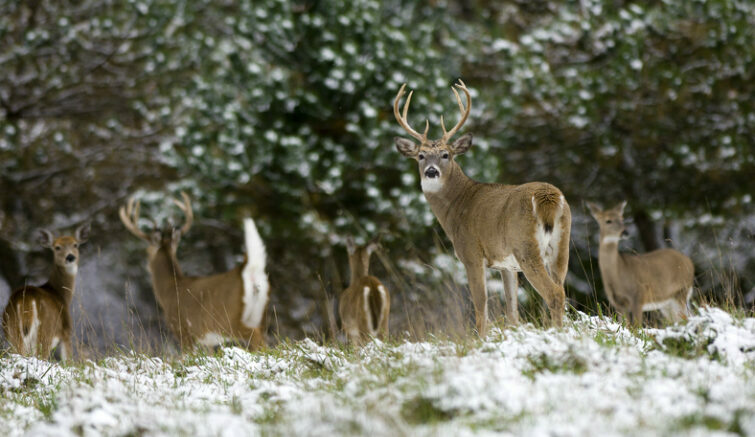 MARQUETTE — The overall health and wellness of the Upper Peninsula’s deer population depends a lot on the Department of Natural Resources working with private landowners to keep the deer herd healthy and fed. Starting next week, the DNR is holding meetings in the central and eastern U.P. for landowners looking to help the cause. Meetings will take place in Skandia, Manistique and Kincheloe over the next two weeks. The DNR started holding these meetings with private landowners in the western U.P. last fall. Of the 10.6 million of acres of land in the U.P., roughly 20% of it is managed by the DNR. -Monday, March 27 at the Skandia Township Hall, 224 Kreiger Drive in Skandia; Contact: Matt Watkeys, Marquette Conservation District, 906-226-8871, ext. 128. -Monday, April 3 at the Comfort Inn, 617 E. Lakeshore Drive in Manistique; Contact: Rory Mattson, Delta County Conservation District, 906-280-6947. -Tuesday, April 4 at the Kinross Township Hall, 4884 W. Curtis Street in Kincheloe; Contact: Travis Kangas, Chippewa-Luce-Mackinac Conservation District, 906-632-9611, ext. 109.